The pre-conditioned specimen is mounted between two grips, which move in relative direction during the test. The changes of force and displacement are separately recorded by the load cell fixed on the driven up and embedded displacement transducer. The tensile strength, tear strength and elongation rate can be obtained by further calculation. 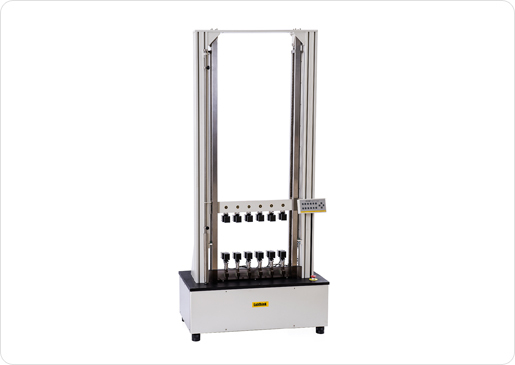 Multiple testing modes are available, including tensile strength, deformation, peeling and tearing, etc.